Born in Jiangsu, China, Zhizhong Cui gained his DVM at the College of Veterinary Medicine, Yangzhou University in 1966, and his Master’s degree in veterinary microbiology in 1981, also at Yangzhou University. He completed his PhD in poultry diseases in 1988 at the Department of Animal Science, Michigan State University, USA, then worked as a postdoctoral fellow in the Avian Disease and Oncology Lab, USDA, East Lansing until 1990. He worked as a clinical veterinarian in Guangtao county veterinary station, Hebei, China from 1968-1982, then as assistant professor at Yangzhou University until 1983, before going to the USA for further advanced education. He was a professor in Yangzhou University from 1990-1999. Since 1999 he has been a distinguished professor in the College of Veterinary Medicine, Shandong Agricultural University, China. 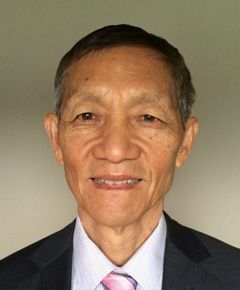 He has served as vice-president of the Chinese Association of Avian Pathologists since 1993, and corresponding secretary of WVPA China branch since 2001. He played a key role in China’s successful bid for the 15th WVPA Congress and in the organisation of the conference in Beijing in 2007. Zhizhong Cui’s career has focused on diagnosis, prevention and control of chicken tumour viruses and immunosuppressive viruses, such MDV, ALV, REV, CAV and IBDV, particularly on their co-infection and interaction, involving both basic molecular virology and field applications. He has received many invitations to give lectures on chicken diseases in China and south-east Asian countries. He received an award from the Chinese national government for his work in helping the Chinese poultry industry to successfully initiate nationwide eradication programmes for ALV in layer breeders and some breeder farms of Chinese local breeds. He also promoted national projects that dramatically decreased REV-associated immunosuppression in Chinese chicken flocks. So far he has published more than 200 papers in peer-reviewed journals (60 papers in English, the others in Chinese) and 4 books in Chinese. He has supervised 124 post-graduate students, including 35 PhD students. Hobbies include outdoor physical exercise such as swimming in open rivers and lakes, even during the winter season. He lives with his wife Xiue, and has 3 children and 5 grandchildren.